Happy Death Day to yooooooouuuuuuuu. Happy Death Day to yooooooooouuuuu! 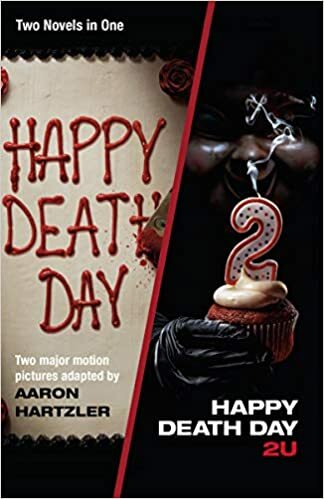 Author and comedian Aaron Hartzler has penned the official novelization of the #1 smash hit film Happy Death Day and its sequel Happy Death Day 2U produced by Blumhouse (Get Out) and Universal Pictures. The book, titled Happy Death Day / Happy Death Day 2U , was just released, and combines two novelizations in one tome. The novelizations give readers a chance to be scared in a whole new way! Happy Death Day / Happy Death Day 2U  is available on Amazon and wherever books are sold. Copyright © 2009 Flames Rising. All rights reserved.